BE attended the International Esthetics, Cosmetics & Spa Conference, Las Vegas held June 28th thru 30th, 2008. IECSC Las Vegas is the largest and most complete esthetics, cosmetics and spa conference globally. This year featured over 650 exhibitors who represent the hottest trends in health, beauty, and skincare technology. Over 200 complimentary classes were available for attendees to learn more about services and products. Additionally, comprehensive educational programs that included a selection from Medical Spa Business, Medical MD procedures and Post Conference Classes for the Spa business industry. TOP 3 CURRENT SPA TRENDS AND INSIGHTS: Mark Lees Ph.D. Waxing - "We are actually seeing an increase in waxing most likely due to the economy and high prices of laser removal". Greening of the Spa Industry/Sustainable Beauty - "I believe that green practices are wonderful. As much as I can, I practice them too, however, not at the expense of a product being ineffective. My opinion is that a lot of the "organic" products are fine, as long as you are not treating problem or reactive skin with them." Eye Lash Extensions - "These were very novel and made a big splash, but I think interest is waning with consumers due to the time and expense it takes to apply them". † Mark Lees, Ph.D., M.S. An award-winning speaker, and product developer, is one of the country's most noted skin care specialists and has been quoted and interviewed by Glamour, Shape, Teen, Self, The Miami Herald, The Associated Press, and NBC News. Mark specializes in acne and aging skin, and is the author of Skin Care: Beyond the Basics. Pevonia - SpaTeen - Pevonia is about to launch the "first ever" SpaTeen Line including regimen systems that are paraben-free with organic actives this October, 2008. The two different spa collections are developed specifically for teens to benefit blemished skin and all skin types. The Blemished collection, specifically formulated to clarify and control acne and blemishes, effectively clears existing breakouts and prevents new blemish formation. The product line-up includes cleanser, toner, moisturizer, mask, and a spot treatment. organic lactic acid (brightening, pH regulating), kava (antibacterial, prevents breakouts), chamomile (calming, de-stressing), organic salicylic acid (antiseptic, prevents epidermal thickening), organic sulfur (antiseptic, healing), and organic benzoyl peroxide (antibacterial). Formulated with a unique Micro-matrix delivery system, the time release action allows active ingredients into skin throughout the day for added skin benefits and visible improvements. The All Skin Types collection unites gentle yet potent, result-driven formulations. This outstanding regimen properly addresses and balances normal, combination, and dry skin concerns. kava (antibacterial, prevents breakouts), proline (amino acid, hydrating), Zinc PCA (antibacterial, healing), lactic acid, (brightening, pH regulation), hyaluronic acid (moisture binding). Clear-O-Zym: An advanced exclusive Pevonia Freeze-Dried Enzyme treatment that removes deep pore clogging, blackheads, and dead cell accumulation. Recommended for all skin types including sensitive skin. This enzyme peel allows professional deep cleansing of the pores without irritating the skin. amylase, lipase, and glucose oxidase. Blemished Skin In-Spa Treatment: for a radical teensformation! An effective treatment mask to enhance the results of skin clearing and healing, and to prevent new lesions from forming, while the skin is left smooth and fresh. Sulfur, curcumin, kava, camphor and chamomile. Strawberry HydraBoost In-Spa Treatment: a vitaminic infusion for boosted hydration. The yummy scented Strawberry HydraBoost provides teens with an intensive yet delightful treatment experience. Counteracting environmental aggressors and hormonal variances, this treatment also offsets the effects of a demanding, stressful schedule. strawberry extract, neem leaf extract, neem flower extract, ivy gourd, hyaluronic acid, panthenol. Papaya HydraSoothe In-Spa Treatment: an intensive skin rejuvenator. The deliciously scented Papaya repairer helps teens restore vital skin health and hydration stripped away by their greatest friend and foe...the sun. papaya extract, neem leaf extract, neem flower extract, henna extract, tulsi leaf extract, basil extract, turmeric root extract, hyaluronic acid, and panthenol. In addition and to expedite and maintain results, Pevonia recommends the PevoVitale Clariplex Dietary Supplement for total and integral control of problem skin. Among proven and effective ingredients, Clariplex includes Praventin, the latest bioactive protein complex that showed in clinical trials to reduce blemishes up to 95% after 2 months of use. They also are on a mission to educate kids about daily sunscreen application and make it part of their daily routine just like brushing your teeth. The first product, TeenScreen, launched May 2008 and the collection has grown from there. The sunscreens are SPF 16+ and tout the coveted Seal of Recommendation from the Skin Cancer Foundation. The line-up currently includes teenscreen, tweenyscreen (for kids), manscreen (for men), and chicscreen (for women). All are fragrance free except for tweenscreen that has a yummy tropical fruit scent. Look for new product launches coming soon. StampMeFabulous - Lipstamps; Patented cosmetic stamp for lips just launched at IECSC Las Vegas. This innovative new beauty tool is ideal for any woman who has struggled with the shape and balance of her lips. Apply in just 3 easy steps. Watch the video here! 1. Select lip shape 2. Apply lip stain to the edge of the lip stamp shape and apply to lips 3. Apply lip stain to the full lip stamp the apply to lip and slide down. The lip stamps come in 5 flattering shapes to be used with any of the 5 semi-permanent inks that last all day. Browstamps; Already a great seller, patented brow stamps work the same was as lip stamps. Watch the "how-to" video here! Customizable and easy to use, the “form and shape” of the brow is adhered to an acrylic base that can be reshaped and manipulated to fit your bone structure and match your natural arch. Once reshaped, eyebrow ink is placed on the stamp and the stamp is pressed right over the eyebrow for instant brow definement. Available in an assortment of colors…hint: “smoke” is the best seller. sun|maita Threader® Kit Gentle, at home hair-removal system, a first to market home threading system that precisely replicates the ancient art of threading using actual organic cotton threads. The Threader® was carefully engineered to create the exact angles that master threadists use to ensure the most dramatic results by polishing off surface dead skin cells and removing facial hairs. PevoniaHolistic Vital-I-Tea Spa At Home Ambiance Collection Discovered nearly 5,000 years ago...tea is now the second most popular beverage in the world next to water. 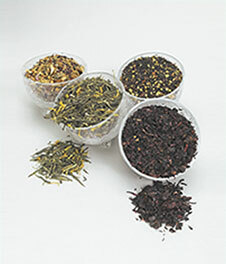 Tea contains naturally occurring plant compounds that are key to health and wellness.Spalasium Vital-I-Tea - Combats stress and delights your taste buds with four delectable blends of gourmet loose leaf tea, rich in beneficial antioxidants for increased health. Vital-I-Tea Slenderize - Allow retained toxins to slip away as you indulge in the sumptuous blend of whole cranberries, elderberries, black currants and rooibos "red" tea. Vital-I-Tea Rejuvenate - A deliciously exotic blend of Japanese sencha, Siberian ginseng, marigold flowers and passion fruit essence, delights your taste buds while promoting youthful vitality. Vital-I-Tea Renew - Enjoy this delectable medley of orange and lemon peel, apple pieces, hibiscus, sunflower and rose petals, lavender flowers, black currants and natural grape essence. This harmonious blend provides anti-aging benefits for a renewing escape. Vital-I-Tea Energize - Replenish your energy level with black tea, cardamon pods, whole clove, cinnamon, ginger root, nutmeg and peppercorn, while enjoying the invigorating benefits of this delightful blend. Shinwa,all-natural, organic green Japanese karigane tea Shinwa green tea with all its active components both inside and outside the body completes the evolution of health and beauty. What sets Shinwa apart is the fact that it is from the birthplace of Japanese tea, with all its beneficial catechins -- including EGCG, found nowhere else in nature. Catechins, which are antioxidants by nature, have been shown to function as anti-inflammatory and anticancer agents. A study published in the Archives of Dermatology shows that whether taken orally or applied to the skin, green tea could reduce the risk of damage from ultraviolet light and thus reduce the risk of skin cancer. Catechins are NOT stable. Many products that list green tea as an ingredient actually have no trace of this miraculous ingredient after as little as three weeks after manufacturing. This is why using freshly made tea daily both inside and outside of the body is the ONLY way to enjoy the results Catechins promise.
. Place 2 Tablespoons of tea in a muslin bag and use as a footbath. The tea will infuse in the warm water very quickly after 10 minutes. This will help to heal any blisters or irritations on the feet, soothe them and of course leave the feet very clean. A tea footbath will also reduce swelling in the ankles.
. Infuse 1 Tablespoon in 6 ounces of room temperature water. Soak an untreated paper mask, full face, or eye area only, in the liquid tea for about 1 min and apply directly to the face for 20-30 minutes. The skin will feel firmer and any puffiness around the eyes will be reduced. A tea mask will cool and calm skin after any chemical treatments as well as fight infection.
. Pour the liquid tea into a spritzer bottle and use as a toner on the facial area. This will help to clear acne, add moisture, refresh and tone skin. Simply using as a spray during a flight results in an amazing difference to the appearance and feel of the skin. Dermatologists found those who used Revitanue with Advanced Green Tea Complex had the following results: . 100% of the subjects photographed showed a reduction in pore size. . 91% of subjects showed a reduction in the appearance of fine lines and wrinkles. . 68% showed an improvement in color and tone. . 45% showed a decrease in the appearance of deep wrinkles. Mona-Vie – Superfood + Superfruits MonaVie is a delicious and energizing blend of the Brazilian açai berry—one of nature's top superfoods—and 18 other beneficial fruits. Developed with the philosophy Balance-Variety-Moderation, MonaVie delivers the phytonutrients and antioxidants you need to maintain a healthy and active lifestyle. MonaVie's Active formula also contains the added benefits of glucosamine to help maintain healthy joints. Mona-Vie's patent pendingfreeze dried acai berry, called OptiAcai, is the foundation of the MonaVie blend. With literally thousands of phytonutrients and antioxidants found in nature's fresh fruits, MonaVie didn't want to focus on just one fruit at the expense of others. Recent clinical trials reveal the role of phytonutrients from fruits and vegetables and their ability to strengthen the immune system and their possible role in helping to prevent certain diseases. Other studies have shown that the phytonutrients from blueberries and bilberries slow normal aging of the brain and help maintain healthy vision in rats. In addition to the açai berry, MonaVie products contain white grape, pear, acerola, pear puree, aronia, purple grape, cranberry, passion fruit, banana, apricot, prune, kiwi, blueberry, bilberry, camu camu, wolfberry, pomegranate, and lychee fruit. PevoVitale AccuMind - Improves Mental Alertness. PevoVitale CircuLibrium - Encourages Optimal Circulation. Key Ingredients: Horse Chestnut Seed Extract, Butcher's Broom, Grape Seed Extract, Diosmin and Hesperidin. PevoVitale ClariPlex **- Improves Impure, Problem Skin. PevoVitale LipoRefine - Promotes Smooth, Even Skin. PevoVitale MenoLibrium - Alleviates Menopausal Symptoms. PevoVitale YouthRenew - Promotes Healthy Aging. Key Ingredients: Alpha Lipoic Acid, Type II Collagen, Vitamins A, C, and E, Carotenoids. Bach Original Flower Remedies:Are you an emotional eater? Do you eat to feed your feelings instead of your body? Stop emotional eating! A broad range of experts claim that 75% of overeating is triggered by our emotions. Fortunately, flower remedies can help to manage the urges to overeat and put us back in control. 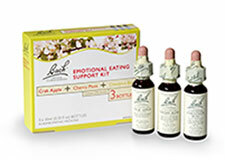 Launched at IESCS, Las Vegas, Bach introduces Emotional Eating Support Kit. The remedies are an all-natural healing system, which provide a calming positive energy to help balance emotions and restore energy.
. Cherry Plum will allow you to stay in calm control, even when you feel like grabbing a second serving or extra cookies.
. Crab Apple the cleansing remedy, will help you feel better about yourself and your body, especially when you feel embarrassed by your tight clothes or disgusted over how you have misused food in the past.
. Chestnut bud can help you change negative behavior patterns, making you more self-observant so you can notice what changes you need to make to break the cycle of overeating and dieting for good. Flowers, like all living organisms have energy that translates into a type of vibration. The flower remedies, when ingested orally, affects the negative energy of our own body allowing harmony and well-being to be restored. A healthy mind really does ensure a healthy body. Dr. Bach believed the disharmony within oneself was the root cause of disease. Today, doctors agree, claiming that stress is a contributing factor in 50-75% of all disease. Inner balance equals outer change. Once one finds emotional balance they then start seeing physical change. Massage Flame,light the flame, feel the warmth. A truly sensoround experience that indulges the user in an unforgettable massage experience that evokes all five senses. geldoctor, for foot’s ache. Did you know that 88% of U.S. women shoes don’t fit? Studies conducted by the American Orthopedic Foot and Ankle Society have found that the majority of women wear shoes that are simply too small, leading to health complaints form sore, painful feet to bunions and lower limb discomfort. U.S. health statistics show that more than 2.5 million people suffer from foot pain related to prolonged standing, caused by a compression of the muscles in the feet which in turn reduces blood and oxygen flow.Created to alleviate this pain, Gel Doctor’sForfootsache is a range of patented and uniquely designed liquid gel-filled insoles that spread the foot load and gently massage the feet. With just the slightest body movement the liquid gel moves around carefully shaped channels and by doing so, stimulates muscle action and increases the blood and oxygen flow. This action also helps reduce foot temperature and perspiration, resulting in added benefits to personal hygiene.